There’s something about summer that screams “Road Trip!” Road trips are fun, cheaper than traveling by plane, and a great way to connect with the family- or whoever you travel with. The trick to an awesome road trip is planning- a little bit of effort before you set off will let you relax and enjoy yourself even more on the road. 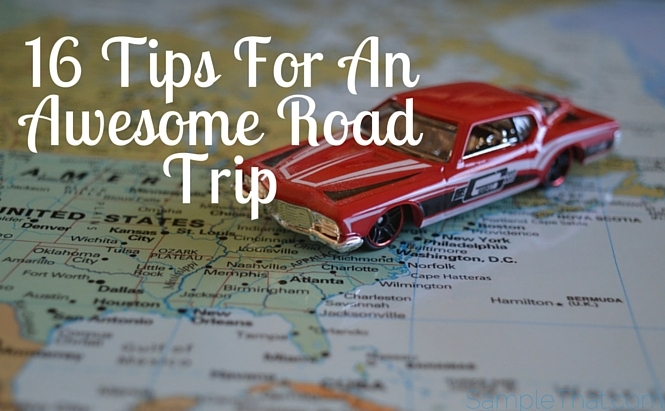 Read these smart road trip tips and have a great time! Plan, but be flexible. Planning is better than winging it, but don’t be so rigid. Go off on a detour to explore if you feel like it, or if you hit unexpected traffic. Make all necessary reservations before you leave so you won’t be shut out of an overbooked hotel. Give your car a check-up. Make sure your car is in good shape before you start so you won’t have to deal with car trouble on the way. Make sure you have necessary documents. Always travel with your license, insurance, and registration- and make sure they’re all up to date. Clean your car before you leave. Throw out last week’s snack wrappers and water bottles and you’ll be way more comfortable. Pack essentials for the car. Things you should have are: wipes, hand sanitizer, snacks, a first-aid kit, a roadside assistance kit, flashlights, a spare tire and a jack. Make it comfortable with pillows and blankets. Blankets are also great for avoiding air conditioning wars. Don’t forget sunblock. Dangerous UV rays come in through the car windows. Plan entertainment. Podcasts and audiobooks are great for car trips. Keep the kids busy. Whiny kids in the car can kill a road trip, so keep them busy with a scavenger hunt. Give them a list of things to look for along the way to make it interesting. A trivia game about the family or a topic that interests them is fun, too. If motion sickness is a problem, avoid it with Dramamine. Use cruise control. You don’t want the expense and the hassle of a speeding ticket! Take breaks. It’s good to stop every 2 hours to stretch. Bring along a ball or jump rope so the kids can be active. Take a plug-in cooler. Keep it filled with drinks and snacks so you won’t have to pay inflated prices at rest stops. Choose a hotel that has free breakfast. Another money-saver! Let someone know where you’ll be. If you have cell service check in at the end of each day so someone knows where you are. If you’ll be away from any communication, give someone your itinerary before you go. Have a bag or container for garbage in the car. This makes your trip so much more pleasant than driving in a messy car. You can empty or replace the bag every time you stop. These tips are easy and will only make your trip even better! Have a great time and drive safely!